Pornichet is located on the sunny Atlantic coast to the south of Guerande in the Pays de la Loire region. The resort is more or less continuous with La Baule, one of the most popular resorts in this part of France - indeed it is not very clear where one town ends and the next begins. 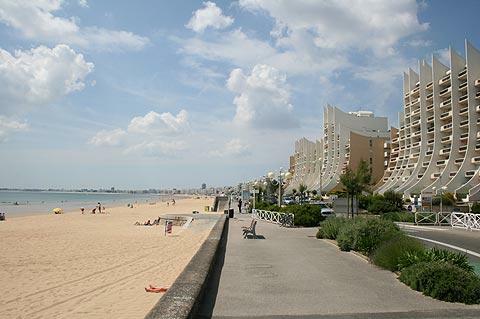 The characteristics of Pornichet are also very similar to La Baule, with several kilometres of sandy beach offering all sorts of activities, backed by low-rise apartment blocks and hotels, which are themselves backed by streets of turn of the century villas. In fact there are three different beaches falling within Pornichet each offering its own characteristics - the Sainte-Marguerite beach was my personal favourite, and the Plage des Libraires is the most central, with access for handicapped people. There are also two ports in Pornichet, including a substantial pleasure port. 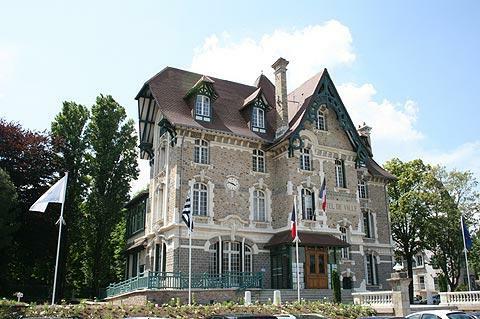 If you are interested by the substantial belle-epoque villas in the town be sure to visit the Pornichet tourist office for a detailed guide to many of the most interesting - although it costs a few euros it is an invaluable way to be sure you appreciate the local history and architecture. Many visitors perhaps never venture beyond the numerous cafes along the beach, but you will also find more shops and cafes in the town centre. The weekly market is held here every Wednesday and Saturday mornings. In fact, the market in the "halles de Pornichet" is very colourful with a wide range of produce and one of the main attrations of a visit. When you tire of the beach there are numerous well maintained walks and cycle rides into the surrounding countryside - the section known as the 'hameaux' makes a pleasant excursion from Pornichet. 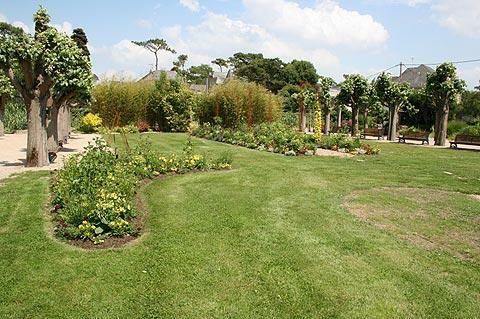 You will also discover the large area called the Parc Paysager de Pornichet which includes various activities such as exercise courses, children play areas and areas of parkland. Of course, you will want to explore elsewhere along the Cote d'Amour - the coast of the Pays de la Loire region north of Saint-Nazaire - while you are near Pornichet. As well as exploring the coast, you will also want to visit the harbour town of Le Croisic, a charming traditional fishing village. A short distance from the coast, the historic centre of the walled town of Guerande is very picturesque.